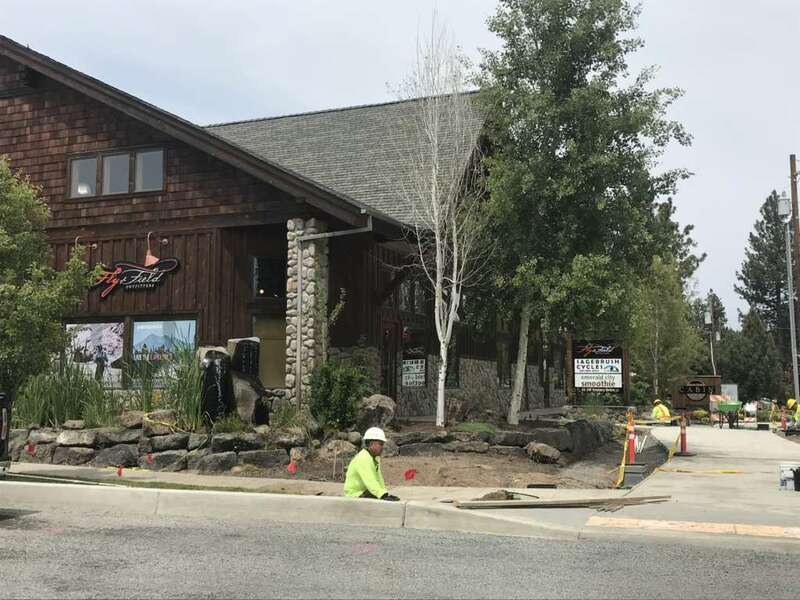 It’s no secret that summer is the season of roadwork in Bend, and right now there’s a major improvement project underway on Bend’s popular 14th Street (also known as Century Drive). The downside of the construction? Driving along 14th can be tricky right now, and periodic sidewalk closures can make leisurely strolling a challenge in some spots. The upside? Make that upsides, plural. 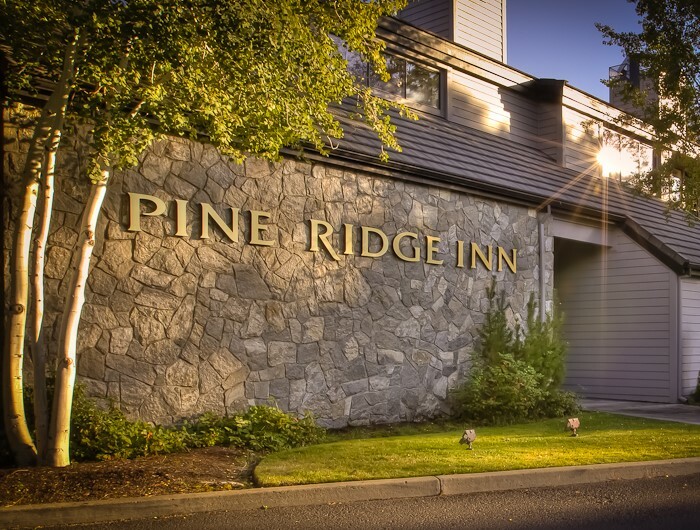 Pine Ridge Inn is one of several hotels that makes an excellent home base to start your stroll of 14th Street/Century Drive. Restaurants and shops on 14th are less crowded right now. Walking from point A to point B offers surprisingly serene pedestrian detours through beautiful residential streets you normally wouldn’t see. Not only that but treating yourself to an intimate little walking tour lets you save gas, skip parking hassles, and get an up-close look at some of Bend’s favorite Westside attractions. Here’s how to enjoy a wonderful Westside walkabout on Bend’s 14th Street. A Downtown Bend hotel like The Oxford or DoubleTree Inn makes a good home base to allow a scenic stroll through Downtown and around Drake Park to get you to Galveston Avenue and then 14th. You can also come at it from the other end by renting a room at the Pine Ridge Inn just off Century Drive as you’re headed toward Mt. Bachelor. Stroll through Drake Park or one of the other scenic riverfront parks on your way to Century Drive. If bed and breakfasts are your jam, the Lara House B&B is well-located for a Westside stroll, and offers luxurious digs in a majestic 1910 craftsman home. You can also opt for a cool vacation home rental somewhere nearby like the River West neighborhood or along Newport Avenue. AirB&B is a good place to start, or check Visit Bend’s Where to Stay page for a full roundup of options. 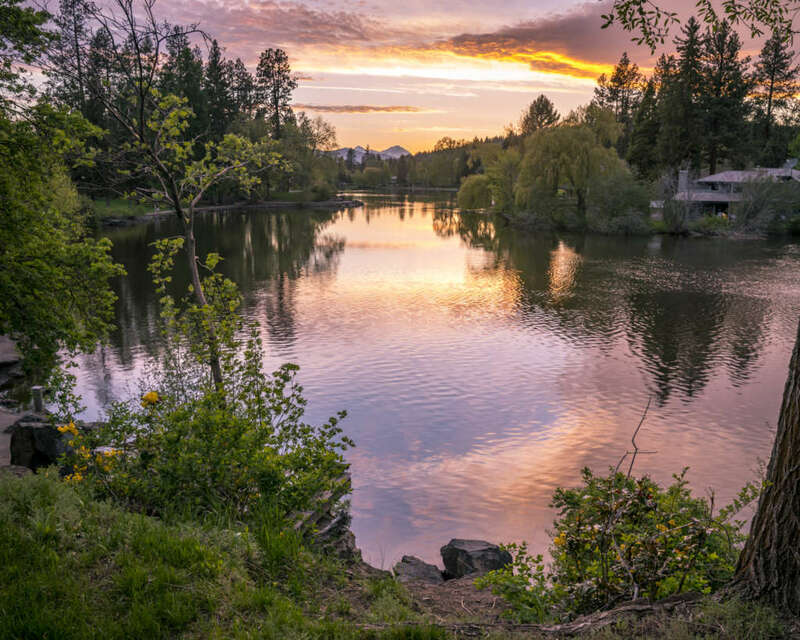 Depending on where you’re staying, start your day by taking a serene stroll along the scenic Deschutes River. Drake Park, Harmon Park, or Columbia Park are all fairly close to your Century Drive destination, and are worth a detour even if your lodging isn’t close by. Grab a cup of coffee to enjoy while you meander. Thump, Bellatazza, DaKine, and Backporch are all awesome options in that general area. One of the scrumptious benedicts at Victorian Cafe. You’ve had your coffee and your zen, so now it’s time to fuel your body with a hearty breakfast. The Victorian Café is one of Bend’s most popular eateries, and its location right on the corner of Galveston and 14th makes it an excellent starting point. They’re best known for their benedicts, which you can get in traditional form or in unique varieties like the Big Easy with prawns and housemade andouille sausage with spinach, red peppers, and housemade Cajun hollandaise. If your stroll to 14th takes you along Galveston, Big O Bagels has some great grab-and-go breakfast sandwiches. 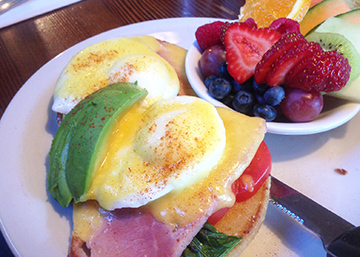 You’ll also find breakfast at Cabin 22 and Village Baker (more on them in a sec). Now that your belly’s full, it’s time to do some exploring. 14th Street boasts a boatload of cool sporting goods stores, ski shops, and outfitters eager to get you set up for whatever outdoor adventure awaits you in Bend. Check out Powder House and Skjersaa’s for all your ski and snowboard needs, or Pine Mountain Sports for winter sports goods, mountain bike rentals, and trail maps. Don’t let a little construction scare you away from businesses on 14th street. Now’s a great time to shop local! Want to try fly fishing in the city Fly Fisherman magazine named one of the top ten spots in the country for fly fishing? A stop at Fly & Field Outfitters will get you set up with whatever you need. Next up, hit Bend Pet Express to grab a souvenir for your favorite four-legged friend. They even have dog washing stations (u-wash or leave it to the pros!) in case Rover’s getting stinky in the backseat. Craving some fitness or spa time? You’ll find a Barre3 studio at the Century Center, or try acupuncture, yoga, qi gong, and more at Bend Community Healing. You can also treat your feet at Sole Footbar on Galveston (just a few hundred feet from the roundabout at 14th and Galveston). You have a gazillion options for lunch on this stretch of 14th/Century Drive, so the tough part will be picking your spot. Grab soups, salads, and mouthwatering baked goodies at Village Baker. 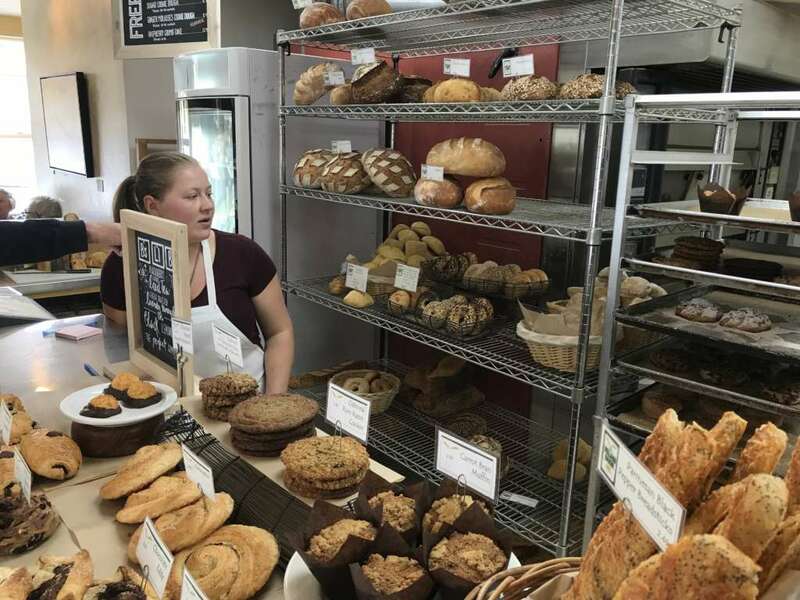 If it’s a soup-n-sandwich kinda day, try Village Baker to fill your belly with homemade breads, pastries, soups, salads, or sandwiches made with the aforementioned bread. I’m partial to the Turkey Too sandwich, which is made with thinly-sliced, oven-roasted turkey, gruyere cheese, oven-roasted tomato, red onion, and leaf lettuce dressed with Dijon and roasted shallot puree served on their famous Black Butte Porter bread. If you’d rather picnic or take something back to your vacation rental for dinner, their cooler has a huge variety of soups, take-n-bake desserts, and even pie dough. If you’re craving a burger but prefer to skip meat, head to Next Level Burger where all the food is plant-based and everything is to-die-for scrumptious. (Note to my fellow meat lovers: Don’t turn up your nose. Seriously. I’m the biggest carnivore of all and I freakin’ LOVE this place). Want something you can nosh while strolling? Pick up a wrap at Parilla Grill and do the one-handed walk-and-chow. My personal fave is the Bombay Bomburrito, which I get with all the recommended toppings and an add-on handful of spinach. You can also get a killer salad fix (not to mention a glass of wine or a beer) at Croutons. Pro tip: Nab one of their sandwich and salad combos to get the best of both worlds. I’m partial to their Granny Smith Flatini and the Santa Fe salad with cornbread croutons. Yum! Stroll some more, then happy hour! The sunny courtyard at Sip Wine Bar is a great spot for happy hour. Fill your afternoon with more shopping and sauntering. If you didn’t do a riverfront stroll before breakfast, now’s a good time to swing by and watch happy river floaters doing their thing on this stretch of the Deschutes River. It’ll surely inspire you to do the same, so check out this post for info on floating the river on one of your other vacay days. As 4 p.m. approaches, it’s time to start thinking about happy hour. Sip Wine Bar has one of my favorites in town, and their wine flights give you a chance to sample several different selections. Their cheese and meat platter is awesome to share, and make a note that Wednesday is ladies’ night ($1 off all menu items all night long!) Parking here is limited, so the fact that you’re on foot is a clear advantage when you scramble to snag one of their coveted patio tables. If beer is more your scene, you’ll find GoodLife Brewing tucked in the Century Center. Grab a spot in their sunny Biergarten if the weather’s warm, or find a table in their Bierhall when it’s not. Either way, their Sweet As Pacific Ale is the perfect summer brew, and pairs perfectly with their house nachos or hummus plate. When dinnertime rolls around, you’ve got plenty of great options to satisfy your growling belly. 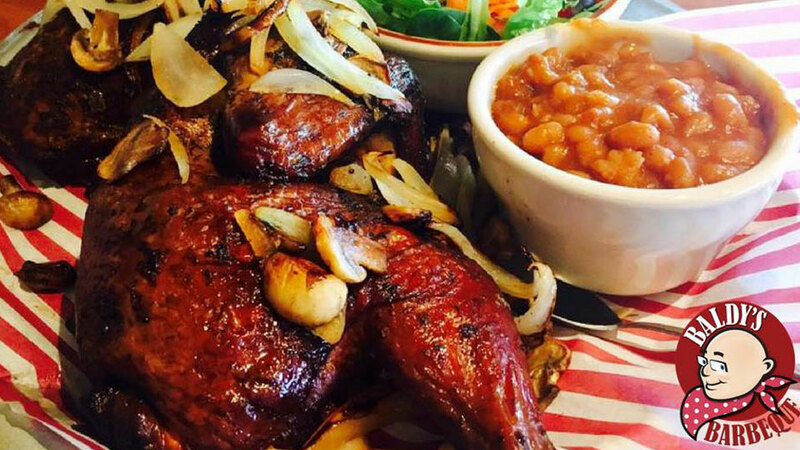 Score a tasty BBQ dinner at Baldy’s. If finger lickin’ barbecue would hit the spot, check out Baldy’s BBQ. To reward customers for braving the road construction, they’re offering special deals only at the Westside location Wednesday through Sunday. Right now, the deal gets you a full rack of Danish ribs plus beans and slaw for only $10 for as long as the roundabout is closed. Talk about a killer deal! If you’re feeling more fancy, try Baltazar’s for a tasty blend of seafood and Mexican cuisine. Their margaritas are outstanding, and their camarones al mojo de ajo (garlic shrimp) are mouthwateringly amazing. 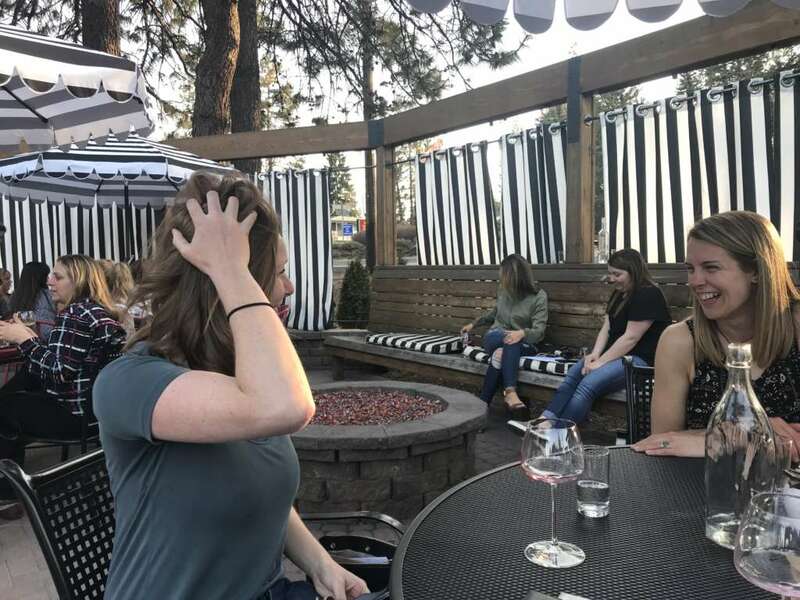 Request a spot on their patio if it’s a warm evening. Just because the sun goes down doesn’t mean you need to end your day of strolling Century Drive. If you haven’t already grabbed dinner, Cabin 22 is another tasty option (and it’s worth noting that they do breakfast, lunch, happy hour, and dinner, so this is an awesome stop nearly any time of the day). 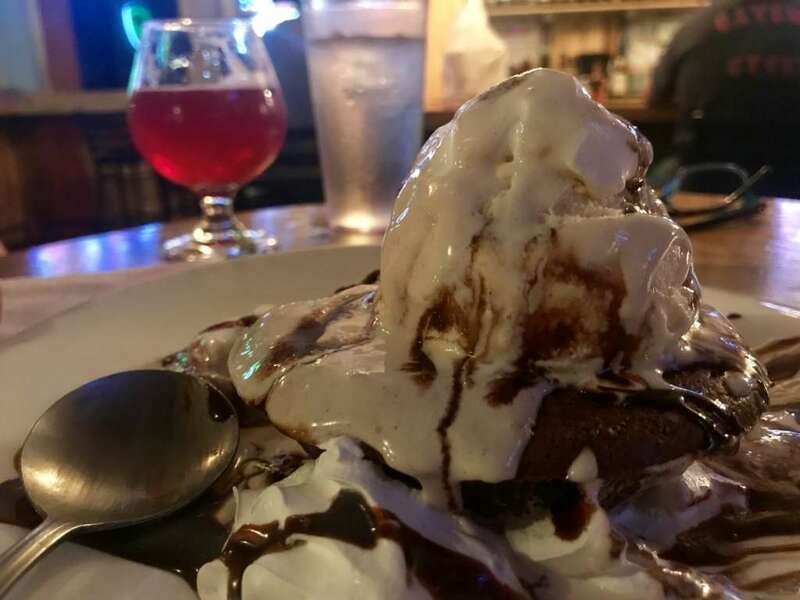 Personally, I dig the after-hours vibe here, and dessert fanatics will drool over their Loaded Brookie, which is a stuffed brownie with a scoop of vanilla ice cream and alternating chocolate sauce and banana crème. So good! The brookie dessert at Cabin 22 is a great way to cap off your day of strolling 14th Street. If you’re looking for entertainment, check the event calendar at Volcanic Theatre Pub, which hosts live music, films, and theatre performances. They’ve also got a nice selection of beer and wine, and a crazy-cool vibe that makes it worth a stop even if there’s not a show that catches your eye. Now that your day of meandering is complete, it’s time to walk back to your Bend hotel or vacation rental. If your feet are feeling tired after all that strolling, Uber and Lyft are just an app click away, or call up one of Bend’s cab companies for a ride.